Note: Early access to Unlock Omega Unit: Viper is now available to all players! Q. What is the Viper? How does it help me in the game? A. The Viper is the second Omega Unit, the most powerful class of Units in Empires & Allies. A high-range Unit, its long-range Sniper Mode attacks deal devastating Damage to enemies. Every shot fired in Sniper Mode has chance to instantly Execute its target, destroying it no matter how high its Health. When enemies are up-close, the Viper switches to a close-combat Assault Mode. In this mode, the Viper fires at a rapid rate and quickly takes out its targets. Omega Units, once deployed, also have a Super Ability. These uber-powerful abilities are unique to each Omega Unit and can turn the tide of battle in your favor. 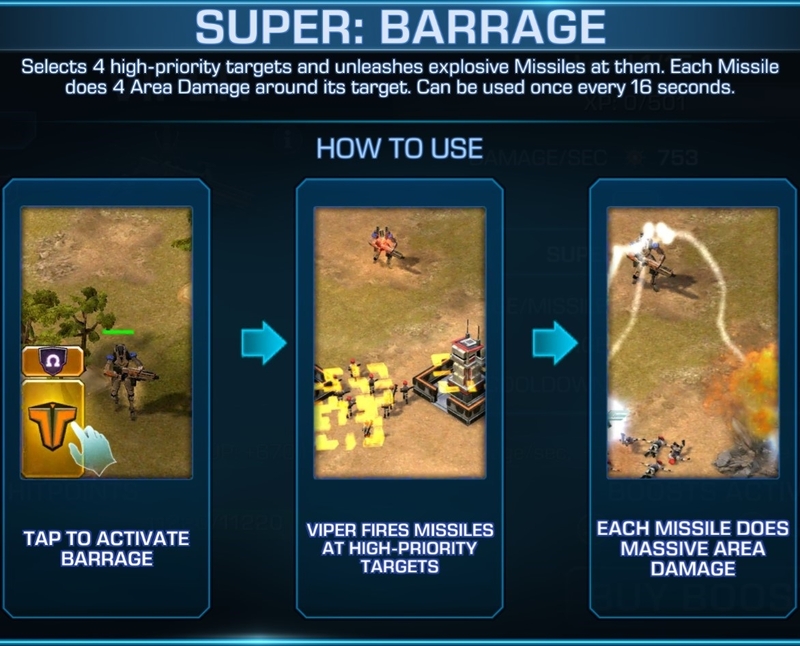 The Viper’s Super Ability is the BARRAGE! Q. 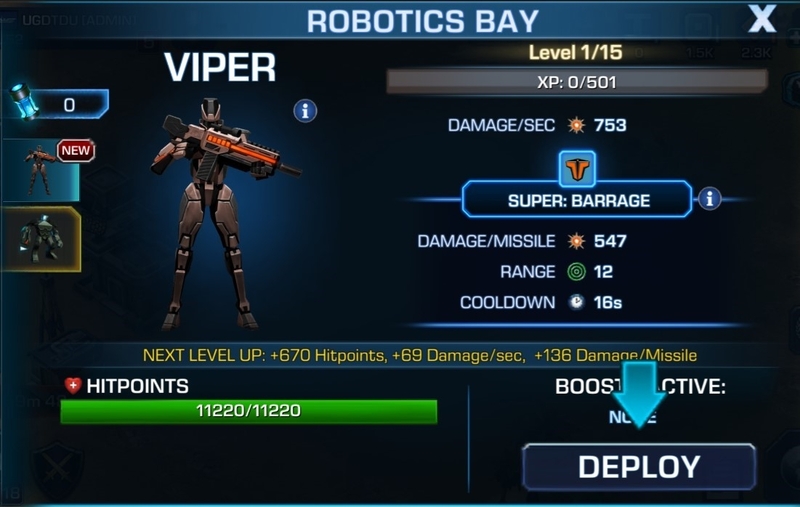 What is the minimum required HQ Level to unlock new Omega Unit: Viper? A. The Viper is available at HQ Level 8, the same level at which the Robotics Bay and Colossus are unlocked. Q. What is Robotics Bay? How does it help me in the game? A. 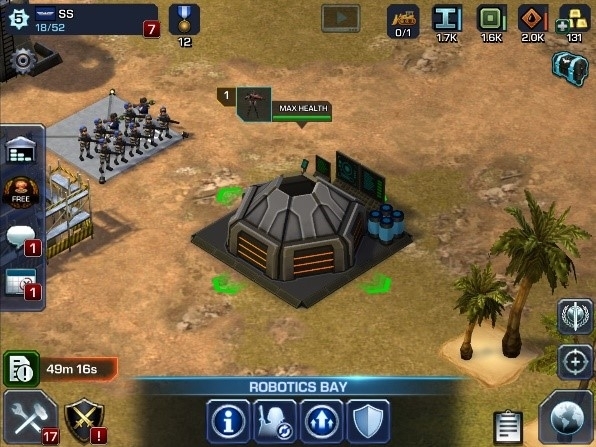 Robotics Bay: Robotics Bay is necessary to deploy an Omega Unit on your Base. You can Repair/Revive and apply Boosts on the deployed Omega Unit from the Robotics Bay. Only ONE Omega Unit can be deployed on the Robotics Bay at any given time. Q. Do I need to unlock the Colossus before I can unlock the Viper? A. No! Once you build the Robotics Bay, you can choose to unlock either the Viper or the Colossus. Q. How do I unlock the Viper? A. 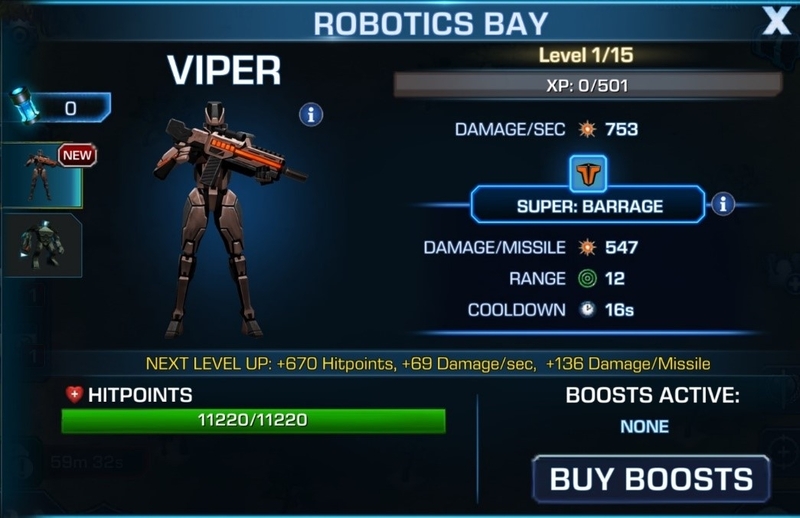 To unlock the Viper, you will need Cybernetic Cores. 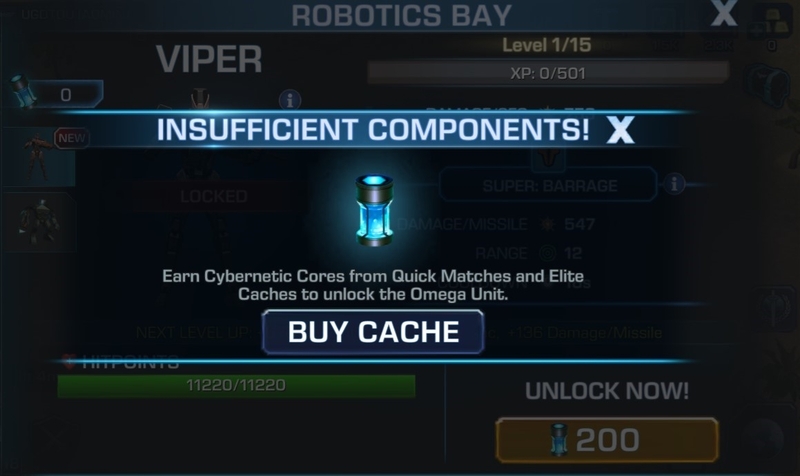 These Cybernetic cores can be collected at the end of victorious PvP battles (battle drops) and by opening Elite Caches.You can also get bonus Cybernetic Cores from the first Quick Match Battle of the day. Q. 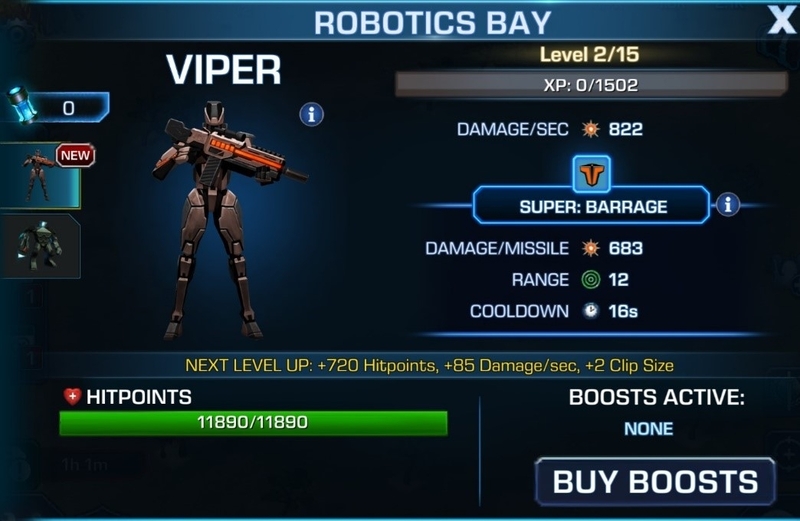 How many Cybernetic Cores does it cost to unlock the Viper? A. The cost of unlocking the Viper will depend on whether it is your first or second Omega Unit. Unlocking the FIRST Omega Unit, whether it is the Colossus or the Viper, will cost 200 Cybernetic Cores. Unlocking the SECOND Omega Unit, regardless of which one it is, will cost 400 Cybernetic Cores. Q. What are Cybernetic Cores? How do I get them? A. These are the components required to unlock Omega Units. You can collect them from winning Quick matches and by opening Elite caches. You can also get bonus Cybernetic Cores from the first Quick Match Battle of the day. Q. Can I use both the Colossus and the Viper in the same battle simultaneously? A. No. At any given point, you can only have one Omega Unit available for Attacks and Defenses. Q. I have both Omega Units unlocked. How do I switch between them? A. You can switch between any of your unlocked Omega Units from the Robotics Bay. 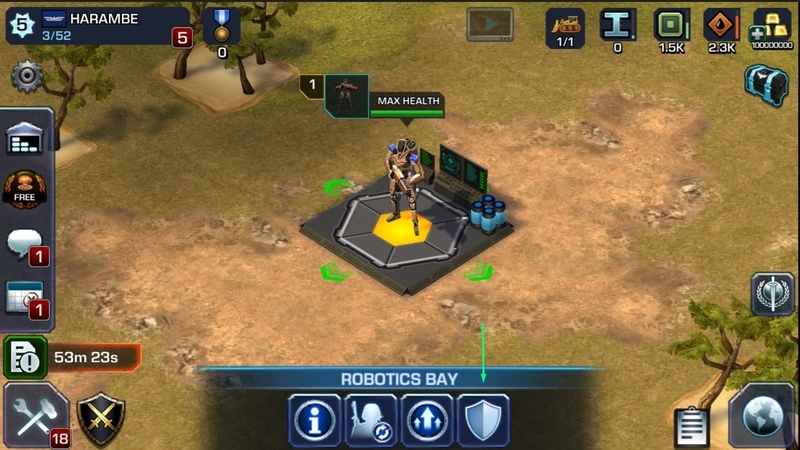 To switch to a different Omega Unit from the one you currently have active, go to that Omega Unit’s tab in the Robotics bay Menu and tap on “Deploy”. Q. Is there a cost to switching between Omega Units? A. No. You can switch between your unlocked Omega Units at any time free of cost from the Robotics Bay. Q. 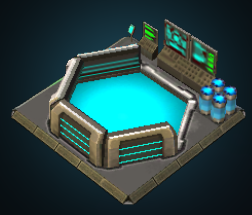 What does the below icon represent in the Robotics bay? A. Clicking on the above icon Enables or Disables the Defense Mode for the active Omega Unit. Enabling it for Defense mode will engage the Omega Unit to fight for you when your base in being attacked. By default, Viper is set to Defense mode. Also, an Omega Unit is vulnerable to take damage during a battle in Active Defense mode. Q. How do I level up the Omega Unit: Viper in the game? When your Omega Unit engages in a battle, it earns XP based on the damage done and received. It also gains XP for all successful defenses when it is on Defense mode. 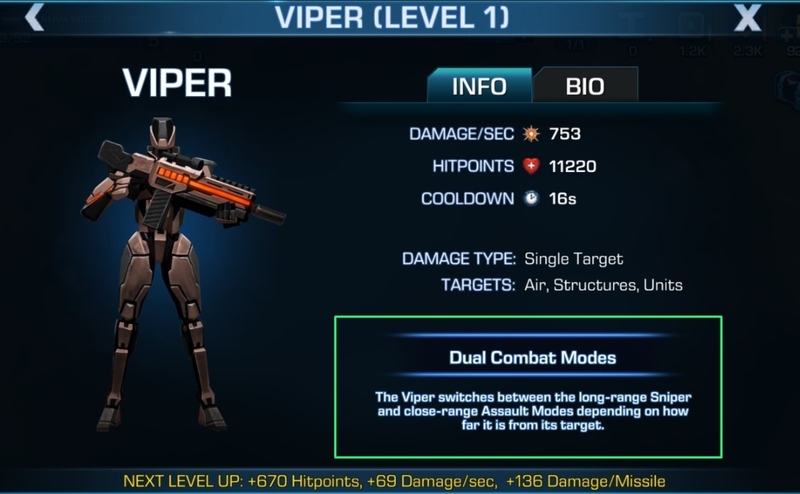 Viper can be upgraded up to Level 15. You can level up your Omega unit faster using the 2X XP boost available in the Robotics Bay. Q. Can I level up my Omega unit without upgrading my HQ? A. Yes, Omega unit gains XP and levels up only in battles and in Defense mode. Upgrading the HQ does however, increase the Damage and Health of your Omega Unit. Q. What is so special about the Viper? Note: The “SUPER: BARRAGE” takes 16 seconds to get charged initially and once used takes 16 seconds to recharge. Q. Do we have boosts for the new Omega Unit? A. 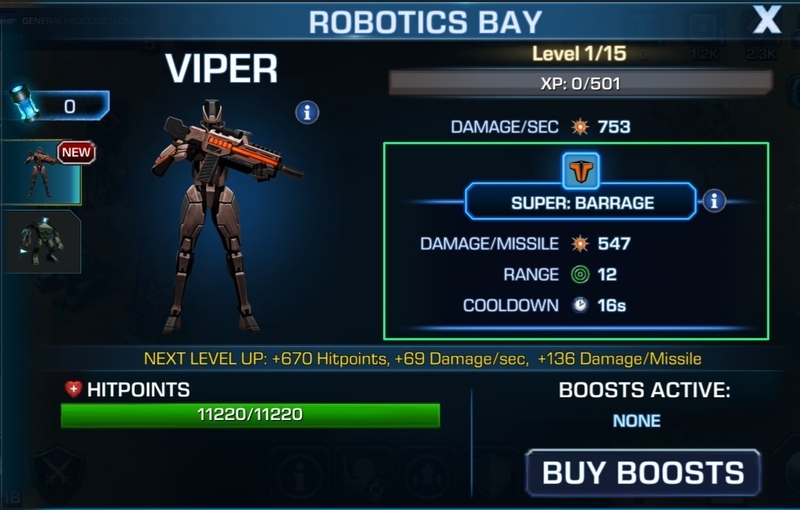 Yes, we have 2 boosts available for Viper. AUTO REPAIR - Omega Unit is repaired/revived for 15 mins once activated. 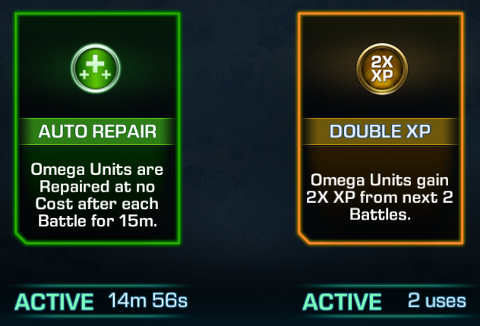 DOUBLE XP - Omega Unit gains 2X XP for the next 2 battles. Click on the icon in the Robotics Bay to find the boosts available for the Omega Unit. Q. I have a Boost applied on the Colossus. Will it carry over to the Viper if I switch to it or vice versa? A. No. Any Boosts applied to one Omega Unit will not carry over to the other Omega Unit on switching.